A report released this morning by the U.S. Census Bureau showed that sales of new single-family homes in America rose by 2.9 percent in May to a seasonally adjusted annual rate of 610K units. That was better than economists had expected and the prior month’s figure was revise higher. 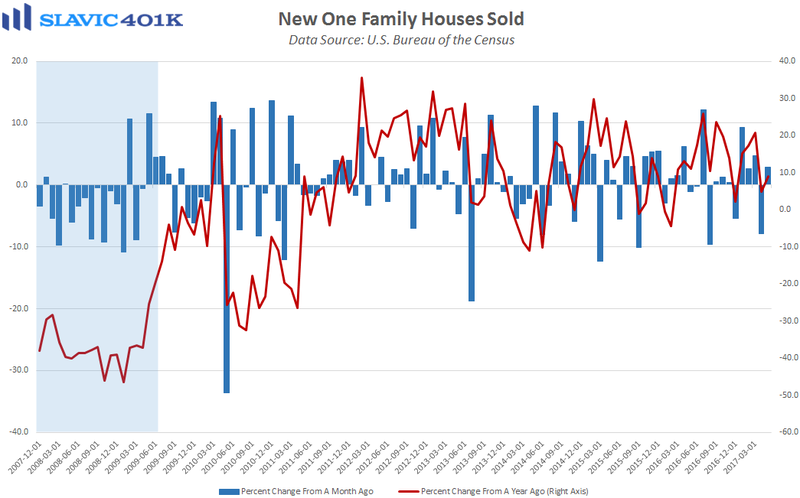 Regionally, new home sales in May fell sharply in the Midwest (-25.7 percent) and the Northeast (-10.8 percent) but rose in the West (+13.3 percent) and the South (+6.2 percent). The inventory of new single-family homes in May lifted to 268,000, and months’ supply fell to 5.3 based on the current sales pace. 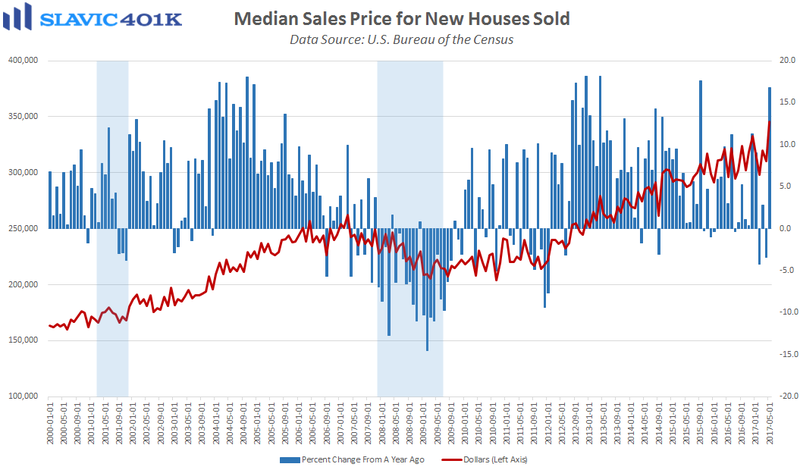 The median selling price of new houses sold surged to $345,800 in May, a new all-time high but not too surprising given the recent trend in home values. 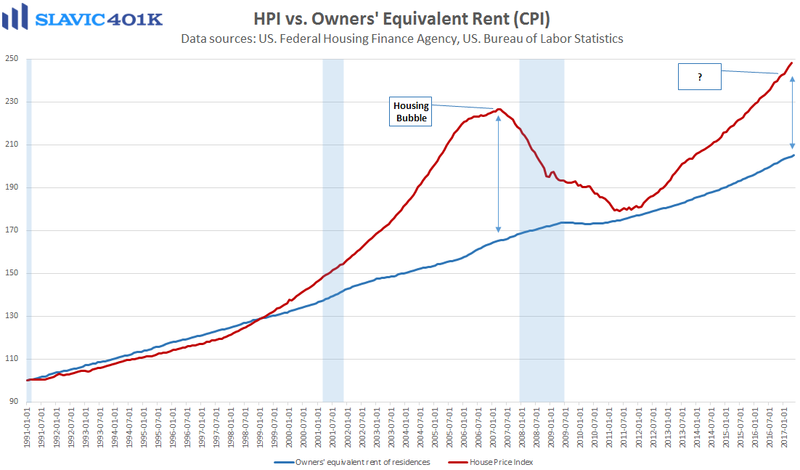 Moreover, the continued acceleration in housing inflation makes this latest report from the Census Bureau very encouraging. 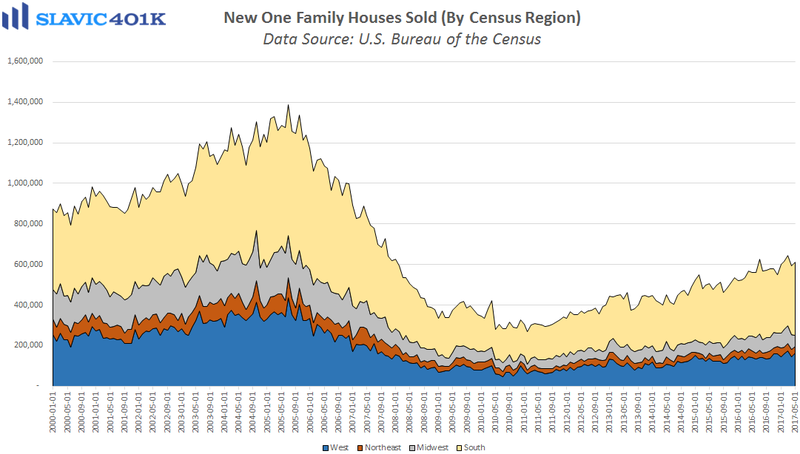 New home sales, though, are quite volatile, meaning that the longer-term trends are where the focus should be. 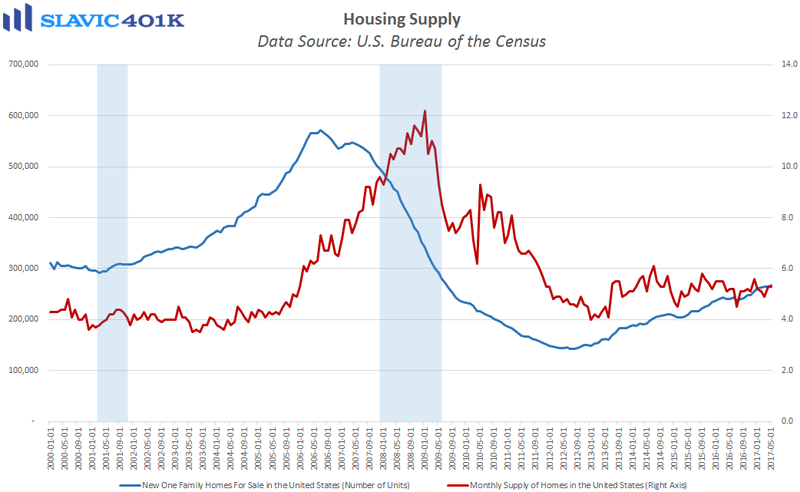 Fortunately, new home sales tend to head sharply lower ahead of a recession and this has yet to occur during the current business cycle.